This feed crusher and mixer machine is combined into one which is mainly used for crushing and mixing at one time all kinds of dry animal feed. Screw conveyor, crusher and mixer are concentrated in one, so it occupy a small place and easy to install and carry. And the feed crusher and mixer can absorb the raw material by itself The vertical feed crushing mixer, which takes small area is suitable for producing all-around nutrition feedstock. The output is from 250kg-1000kg/time,the feed grinder mixer machine is a whole processing equipment combined with the function of crushing and mixing. the feed grinder mixer machine is suitable for the small farm and feed factory. 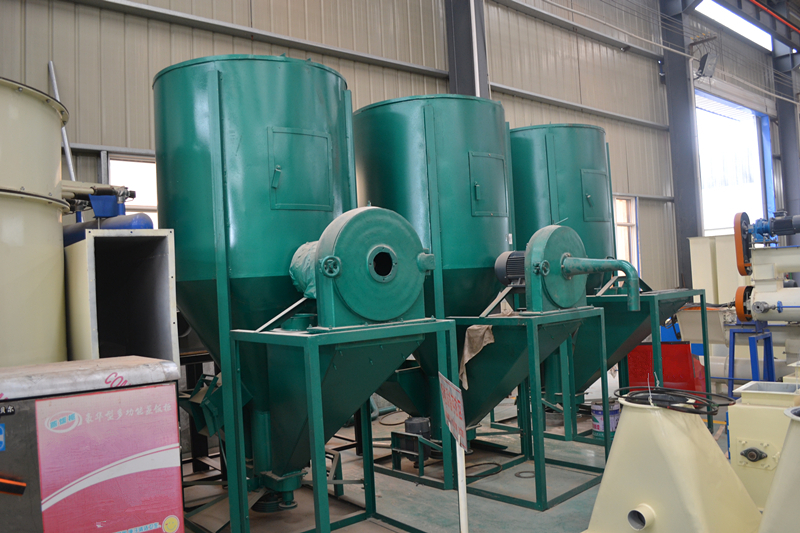 The feed grinder mixer machine adopts the structures of rotary and throwing out to make the material billow up and down, move left and right,because it combines crusher with mixer,so the feed crusher mixer can make up a simple small pellet production plant. small farm feed grinder mixer is made of all-steel structure, which will not be destroyed by iron, stone, shell debris strayed into the feed grinder mixer machine off the hook, and one with the power assembly to facilitate flow of processing. The poultry feed grinder mixer machine is used in food, crop dry and straw smashing processing can also be used for potato beating,the livestock feed grinder can grind all kinds of materials of pellet feed, such as corn, sorghum, grain, legumes, corn cob,dry wheat straw,rice husk,wheat brans,small tree branches,and others. Building in rotor, grind the raw material with no dead angle, finished products would be more even. Operate button can be moved fully,the poultry feed grinder machine is easy to be operated. In-built sealed avoid dust spill out, keep the working environment tidy and clean.can carry on the ordinary grinding, also can carry on the thin grinding and the micro grinding. Thus the small farm feed grinder machine has been widely used in the raw material grinding of the large and medium scale feed factory, alcohol plant, food products factory and so on.